Canon released a new flagship ELPH model today, the ELPH 510 HS, a tiny camera with a huge 12X zoom lens. To clear up any confusion, the ELPH 510 HS doesn’t replace the ELPH 500 HS announced earlier this year, but is in fact the successor to the PowerShot SD4500 IS ELPH announced last year. Canon has announced a successor to the PowerShot ELPH 300 HS AKA IXUS 220 HS we just reviewed this summer, with the new ELPH 310 HS. This camera loses the 24 mm ultra-wide-angle 5X optical zoom lens in favor of a larger 8X lens that starts at 28 mm. There’s also a larger screen and changed design. Canon announced an affordable comapct super-zoom camera today. The camera isn’t exactly as small as the ‘premium’ PowerShot SX230 that Canon introduced earlier this year but it’s still quite small. Check out my full review of the Canon PowerShot ELPH 100 HS (also known as the IXUS 115 HS). The camera is the most affordable ELPH in Canon’s 2011 camera lineup but still packs the same 12 megapixel CMOS used in more expensive models, a 3 inch LCD and Full HD 1080p movie mode. 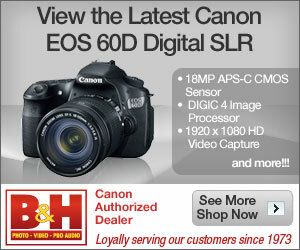 Visit the Canon ELPH 100 HS/IXUS 115 HS photo gallery to view full-sized photos taken using the camera. Check out the bunch of photos I’ve posted in the Canon PowerShot ELPH 100 HS (also known as Canon IXUS 115 HS) Photo Gallery. And be sure to read our Canon ELPH 100 HS/IXUS 115 HS full review for an in-depth look at this camera. Here’s my full review of the Canon PowerShot ELPH 300 HS (or as some of you may know by the name Canon IXUS 220 HS). This small and stylish camera has an ultra-wide-angle 24mm zoom lens, 1080p Full HD movie mode and a 12 megapixel CMOS sensor. Check out the Canon ELPH 300HS/IXUS 220HS photo gallery for full-sized sample photos from the camera. I’ve posted the Canon PowerShot ELPH 300HS (also known as Canon IXUS 220HS) Photo Gallery with, as usual, full-sized photos taken by the camera. Also head on to our full review of the Canon ELPH 300HS/IXUS 200HS to learn more about this ultra-compact camera. Canon has just announced four new compact camera models with new 12 megapixel CMOS sensors which enable high-sensitivity/high-speed shooting capabilities. First off, we have the compact super-zoom PowerShot SX230 HS, whose biggest changes from its predecessor are: built-in GPS and full HD movie mode. There are also three new ELPH models (with 2011 models dropping the “Digital” and shortening names to just “ELPH”), all of which also sport the ability to record full HD movies.